Speech is important for oral communication to express ones thoughts and emotions. Many factors influence the normal development of speech. Defects in the palate can certainly impair the speech process. 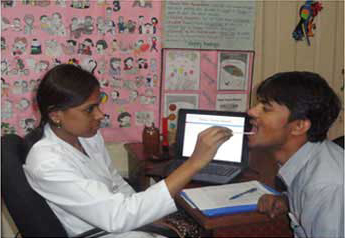 Thus, an important aspect in cleft palate treatment is through speech assessment and speech therapy, if needed. An important consideration is that surgical treatment of the palatal defect is a primary factor for normal speech development. Assessment of speech is performed by a speech-language pathologist (SLP), who specialized in cleft and craniofacial deformities. The evaluation of speech involves a variety of qualitative and quantitative assessment methods are utilized including standardized tests, and special instruments (Nasometer & nasopharyngoscope, etc.) in order to analyze and diagnose the nature and extent of speech problems. Nasometry is a method of measuring the acoustic correlates of resonance and velopharyngeal function through a computer based instrument which gives a nasalance score, which is the percentage of nasal acoustic energy of the total energy(nasal + oral). The Nasometer is used for assessment purpose, by analyzing on standardized reading passages overtime for up to 100 seconds. Measures such as mean nasalance, maximum and minimum nasalance, and more, can be instantly calculated. Statistics, which can be stored, reflects the production of standardized reading passages and can be compared to normative data on subjects within patient’s age group. Based on the results, Speech pathologist suggest for Secondary Palate repair (if required) usually at the age of four years. The child must be old enough to co-operate for the speech assessment. Usually, the age is four to five years, although occasionally it is possible to assess children as young as three years old. Post operatively, after two to three months, speech therapy will be recommended and also early speech and language evaluation also important (From 1yr to 3yrs) to counsel the parents regarding Speech and language development. Parents play a very important role in working with the child to encourage the development of normal speech and language. The Speech Pathologist will provide guidance for parents throughout the intervention. Speech and Language Assessment helps the SLP to narrow down the speech and language problems of each client with CLP(Cleft Lip and Palate). 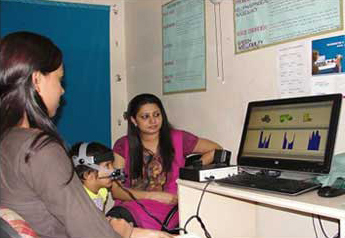 The results obtained after completion of assessment, are the guidelines for commencement of speech therapy. 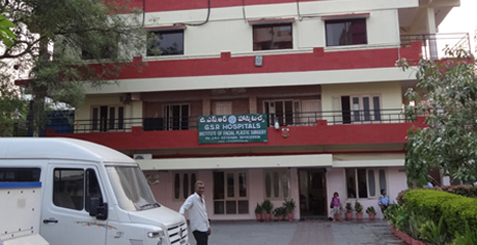 Hence, Speech and Language Assessment is of utmost important for tracking speech outcome in clients with CLP after surgical intervention (various cleft surgeries) and also for carrying out effective therapy. The Speech therapy for CLP can be done by using therapeutics; visual and audio feedback using Nasometry and Dr.Speech games. If necessary myofunctional therapy can be given by using Face former and Ballovent for better results in speech of CLP.